The American Express Gold card is a great card. I actually signed up for this in 2013, during my 2013 App-O-Rama. In reality, this card is great for its signup bonus of 25K Membership Rewards, which comes after spending only $500 and there is no annual fee in the first year. For usage beyond the first year, I think there are better cards out there, but the double points on all travel purchases, combined with American Express insurances and customer service make this a good candidate for a keeper beyond year 1 if you spend a lot on travel. Membership Rewards are a currency that can transfer to different airline partners or be redeemed for statement credits and other cash equivalents. Getting the most value out of these will require a certain amount of effort. If you are interested in redeeming them for cash equivalents, such as statement credits and / or gift cards, then you would be better off using a 2% cash back card, such as BMO World Elite, MBNA World Elite or Capital One Aspire World MasterCard. In an ideal world, you would redeem your Membership Rewards well and thus outperform the competition, hopefully significantly. See my recent article on the American Express Membership Rewards program (Canadian version). The American Express Gold card earns 2 Membership Reward per dollar spent on travel, gas, grocery and drugstore purchases, and 1 Membership Reward on all other purchases. 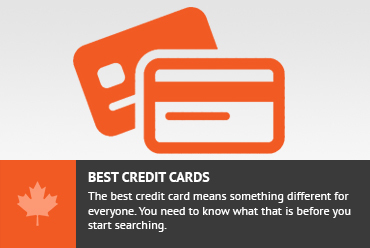 As mentioned above, if you are spending a lot on travel purchases, this could be an ideal card for you. While gas, grocery and drugstore purchases are privileged by the American Express Gold card, if these are categories that you are targeting, then there are other cards that I believe would be better for you. Both the Scotiabank Gold American Express and Scotiabank Momentum Visa Infinite earn ~4% in cash equivalent return on gas and groceries for lower annual fees than this American Express Gold Rewards card. I recently did a review of the best ways to use Membership Rewards. In a nutshell, there are a lot of options. At a minimum, you should be redeeming your Membership Rewards for at least the 1 ¢ each as a statement credit against a travel charge, which is arguably close to a cashback. You can do much better than this, though, through transfers to various frequent flyer programs. The 2 that provide good value from Membership Rewards are: British Airways Avios and Aeroplan. My thoughts are that, while this card is good, it is only good if you are going to be transferring your Membership Rewards to either British Airways or Aeroplan and using those in a relatively efficient manner. My opinion is that Membership Rewards (Canadian version) are worth more than 1.6¢ each. If you are getting significantly less than that, then this is likely not the right card for on an ongoing basis. Whenever I look at a card, I always need to know how it fares against other cards. My baseline cards are the 2% World Elite cards and the Scotiabank American Express card. The 2% World Elite cards are comprised of the MBNA World Elite, BMO World Elite and the Capital One Aspire World cards. Each of them give just about 2% return in a cash equivalent form with different annual fees based on how much work is needed to get that full 2% return. The MBNA World Elite is the simplest with straight 2% cashback and an $89 annual fee and is the standard used for comparison here. They are all Mastercards. The 2% World Elite cards give 2% return in a cash equivalent form on all purchases. When compared to the American Express Gold card, it looks like the American Express gold card outpaces these in the travel, drugstore, gas and grocery categories. This is based on my valuation of 1.6¢ for each Membership Reward. If you are getting the American Express Gold card with the intention of redeeming your Membership Rewards for statement credits at 1¢ each, then the American Express Gold card will not outperform a 2% card in any category and will often lose. Another disadvantage here is that the 2% cards are Mastercards so there is much wider acceptance than with an American Express card. Bear that in mind when doing the comparison. The Scotiabank Gold American Express card has been my favorite card in the Canadian market for a few years now. When comparing the American Express Gold to the Scotiabank card, we see the advantage the Scotia has in the gas, grocery and restaurant categories. However, the American Express wins in the travel and drugstores categories. Both of these cards are American Express cards so the acceptability of American Express is an equal factor in this comparison. The Scotiabank Gold American Express card has a lower annual fee at $99, as compared to the American Express Gold card, which is $150. This comes down to 2 factors. If you really enjoy the redemption of Scotia Rewards where you can get your travel reimbursed then the Scotiabank card is the way to go. This option on the American Express Gold card will likely severely underperform the Scotia card. As I have mentioned, if your spending is such that a large portion of yoru budget goes to travel then put that onto the American Express Gold card and ensure that you are redeeming your Membership Rewards efficiently. You can then do well with the American Express Gold card compared to the Scotia Gold card. My personal thoughts are that, for most people, the Scotiabank American Express card will be more valuable than the American Express version. There is nothing that says you cant have both. As mentioned, this card comes with a 25,000 Membership Rewards sign up bonus after $500 in purchases and a waived first year fee. 25,000 Membership Rewards is worth at a minimum $250 statement credit against a travel charge, but could be 25K Aeroplan miles or 25K British Airways Avios. That is enough for over 5 one-way flights between Toronto and New York. Since the annual fee is waived the first year, there is really no cost to getting those miles. As I mentioned, I signed up for this card during my App-O-Rama and this card is the ideal candidate for an App-O-Rama. The annual fee on this card is $150. That is on the high side for a card of this level. Personally, I don’t think I would ever actually pay this amount for this card after the first year when it is free. In my recent attempt to get this fee waived, I was unsuccessful and I don’t think American Express is interested in waiving that fee or giving bonus points to offset the fee. A minor benefit is that there is no fee for an additional user on this card. I have always wondered why credit card companies, who only benefit by putting this card in more people’s hands would actively discourage people from getting more cards (by charging a fee) but this is the crazy world we live in. American Express seems to be the sane one in this area and does not charge a fee for 1 additional user on this account. If you are in 2 player mode, I suggest the “husband” have this card in odd years, and the “wife” have this card in even years. That way you get the card in its 1st year (the free year) every year, and are getting the sign up bonus every year. Just my 2¢. The best benefit of this card is that when it comes to insurance, you are dealing with American Express, which is the easiest, by far, to deal with on this matter. There are a few additional benefits of this card, including a host of insurance benefits. 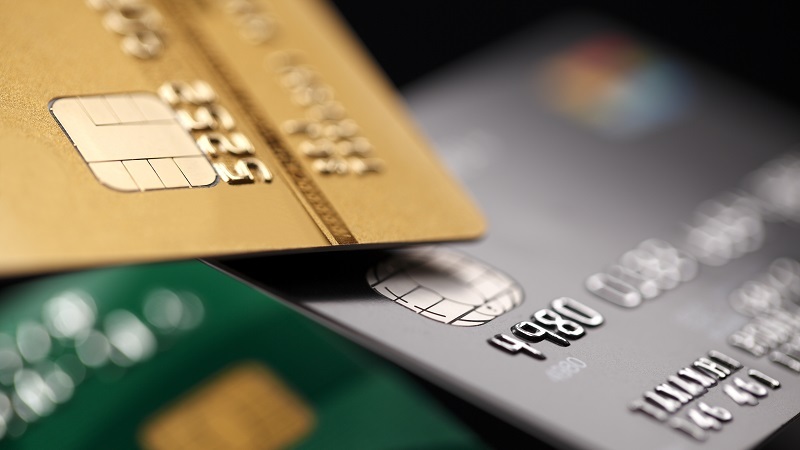 Normally, the insurance benefits don’t vary much between cards at the same level. In this case, the insurance benefits offered are relatively standard, however, I put much more faith in the insurance offerings from American Express than I do from any other bank. In cut and dry cases (ie an accident in a rental car) it wont really matter, but in those cases where other credit card insurances have sent me rejections followed by a series of back and forth with the claims departments, I have found American Express insurance processes are so much easier to deal with. As an example, I recently had a computer start giving me problems. My initial thought was that this would be a $100 – $200 service request that American Express would take care of when I sent the laptop in. However, after calling in and telling them my issue with the computer, I received a letter stating that the entire $450 (including tax) that I had originally paid for the laptop would be given back to me to buy a new computer instead of dealing with fixing an old one. The details of the insurances can be found on the American Express site. The American Express Gold Rewards card is a great card to apply for in the first year, when you get a nice sign up bonus and the first year free. Basically American Express is giving you a ~$250 – $400 of value for holding on to the card. After the first year, though, the hefty fee of $150 makes this card’s value come into question. If you are spending a lot on travel AND you have good use of British Airways Avios or Aeroplan (the valuable uses of Membership Rewards) then you will do well with this card. Other than that, I think there are better cards out there. Don't subscribe All Replies to my comments Notify me of followup comments via e-mail. You can also <a href='https://www.creditwalk.ca/comment-subscriptions/?srp=3961&srk=2648578ecea05c83754707575dc5a494&sra=s&srsrc=f'>subscribe</a> without commenting.